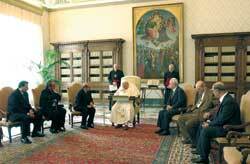 On 10 November the Pope received in audience a delegation of the Organization for the Liberation of Palestine. The event was given ample coverage in L’Osservatore Romano of 10-11 November which quoted the Pope in its title: “The Christians of the Holy Land have a very special place in my heart”. At the beginning of his greeting the Pope said, “Distinguished Guests, I am happy to welcome your delegation and I ask you please to courteously transmit my greetings and good wishes to President Yasser Arafat and all the Palestinian people. I am confident that this visit of eminent Palestinian Christians to the Holy See will bring about a better understanding of the situation of Christians in the Palestinian territories and of the important role they can play in promoting the legitimate aspirations of the Palestinian people”. “The Church has always said that terrorism is anti-human and anti-Christian, everyone knows that the Church is against terrorism and war, but the Church always and nevertheless invites dialogue”. Thus Cardinal Angelo Sodano, in the wings at a Lateran meeting, commented on the tragic attack at Nassiriya. And concluding his speech, the Vatican Secretary of State specified: “Legitimate defense is in the doctrine of the Church, it is part of international law, it is recognized by the United Nations Charter and is denied no one”. 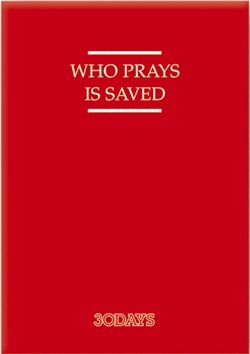 The words of the Cardinal were reported by Avvenire on 19 November. Under this title, L’Osservatore Romano of 17-18 November summed up one of the strongest appeals launched by the Pope to implore peace in the Middle East. 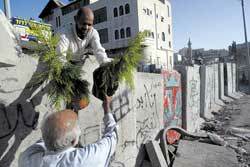 “The construction of a wall between the Israeli and the Palestinian peoples is seen by many as a new obstacle on the road to peaceful co-existence. In reality, the Holy Land is not in need of walls, but of bridges! Without reconciliation of souls there can not be peace”. The words are those of the Pope at the Angelus of Sunday 16 November. On 28 November the Pope received the Dalai Lama in audience. It is the seventh time that the religious leader has met John Paul II in the Vatican. And as already happened in 1996, the audience was not announced in the Bulletin of the Press Office of the Holy See but was published in L’Osservatore Romano (as with the audiences of 1980, 1982, 1988 and 1990). This time however there was a lapidary statement from the Vatican spokesman Joaquin Navarro-Valls: “It had to do with a courtesy visit, of an exclusively religious content”. The meeting between the Pope and the Dalai Lama of 28 October 1999 was not formally officialized but, in this last case, the daily newspaper of the Holy See evidenced the fact, also with photographs, that the Dalai Lama had participated with the Pope at the inter-religious Assembly held in Saint Peter’s Square on the theme “On the threshold of the 3rd Millennium: collaboration between the different religions”. Tullia Zevi: “The Diaspora should sometimes remind Israel of tolerance”. “An open letter which Primo Levi published in Repubblica in 1982 at the time of the war in Lebanon comes to mind. Levi asked Israel to withdraw. He had followed with close attention the return to the Land of the Fathers, the birth of the State of Israel and he had also gone there. On that occasion he wrote that there are moments in which the Diaspora should temporarily remind the brothers of Israel of the ancient virtue of tolerance. Palestinians and Israelis are destined – not condemned – to live together”. Thus Tullia Zevi, a prominent spokesperson of the Italian Jewish community, in an interview which appeared in Repubblica on 22 November. “The fact that some terrorists involved in these horrendous attacks are Moslems absolutely does not mean that Islam is compromised with terrorism. There have been Christian terrorists, Jewish terrorists, but the values of the three great monotheistic religions can in no way be confused with the actions of individuals.” Thus the Turkish Prime Minister Tayyip Erdogan in an interview with Corriere della Sera on 26 November, commented on the tragic events which had devastated his homeland in this past month. On 24 November the new Cardinal Jean-Louis Tauran, seventy years old, who from December 1990 to now was Vatican “Minister of Foreign Affairs” was nominated Archivist and Librarian of the Holy Roman Church in place of the Argentine Cardinal Jorge Maria Mejia who was eighty on 31 January last. The French Catholic daily La Croix suggested that the nomination of Tauran was of “a provisional character … while awaiting more important responsibilities”. On 3 December the Jesuit Cardinal Paul Shan Kuo-hsi, Bishop of Kaohsiung (Taiwan) since 1991, became eighty. On 8 December Pio Taofinu’u, Archbishop Emeritus of Samoa-Apia, who was created Cardinal by Paul VI in 1973, was eighty. On 13 December Edward Bede Clancy, Archbishop Emeritus of Sydney, was also eighty years old. At the end of the year, therefore, the weighting of Asiatic cardinals will diminish (from 13 to 12), as will that of cardinals from Oceania (from 5 to 3), among the electors in an eventual conclave. 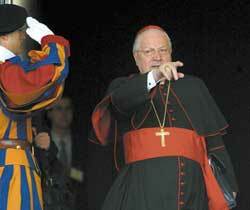 In the last consistory the Pope announced he had created a cardinal in pectore whose name he did not reveal. The mass media have gone crazy with attempts to identify the churchman in question. 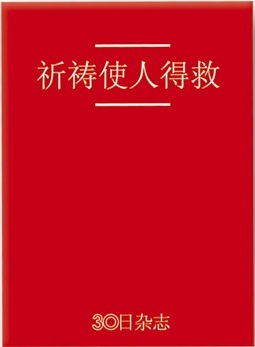 It should be kept in mind however that Civiltà Cattolica of 1 November published an article on the Consistory by Father Giovanni Marchesi in which he said: “According to different Vatican observers the name of the Cardinal in pectore could be that of the Bishop of Hong Kong, Monsignor Joseph Zen Ze-kiun”. The fortnightly review of the Italian Jesuits uses the conditional, but one must remember that the proofs of Civiltà Cattolica are reviewed in the Vatican Secretariat of State and that in none of the articles written on the two preceding Consistories in which John Paul II had created cardinals in pectore - those of 1979 and of 1998 – had the review made any hypothesis about who they might be. “In reality Ruini spoke more as the chaplain of Italy than as bishop pastor: it was moreover inevitable that he should take on this role in the moment in which he officiated at the funeral mass for the young men in uniform who fell while performing their military duty. 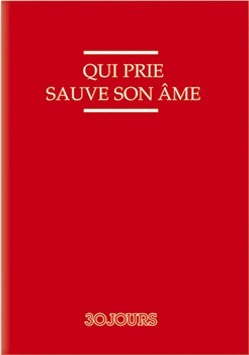 “We shall not retreat, but we shall not hate”: thus with the use of the first person plural, only a priest who is pointing out an exercise in religious morality to his faithful can speak or a chaplain called on to give religious help to army divisions in action, keeping alive in them Christian pietas towards a “neighbor” who threatens war and destruction”. So Eugenio Scalfari, in an editorial which appeared in the Repubblica of 20 November, commented on the homily of the Cardinal Vicar Camillo Ruini, on the occasion of the funerals of the carabinieri, soldiers and civilians killed in the attack in Nassiriya. The President of the Italian Bishops’ Conference, in the course of a press conference held on the same day, made a reference to the intervention of Scalfari and described it as “intelligent”. Dialogue at a distance, in the pages of Corriere della Sera, between Vittorio Messori and Arrigo Levi about lay and religious faith. 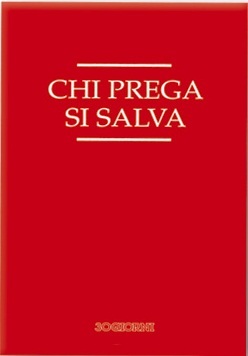 We report the final part of the contribution by Arrigo Levi, published on 25 November, in which the influential journalist and essayist comments, among other things, on the first verse of chapter XI of the Epistle to the Hebrews: “However one defines the Faith as substance, certainty, or the foundation of things in which we hope, and at the same argument, demonstration or proof (evidence) of things we do not see, I find this definition not only very beautiful and convincing, but perfect (for some time I have racked my brains on this point) in clarifying for me at least, what the religious faith of very many of my friends and fellow travellers in life and my own lay faith have in common: it too, alas, “the substance of things hoped for and proof of things as yet unseen”, which we hope will come about. Saint Thomas is mistaken then – exaggerating, as a good Aristotelian, the certainties of Reason, - when he sustains that the Pauline definition distinguishes religious faith “from knowledge and the intellect, in which something becomes apparent”. The two faiths, on which I have reflected for a long time, have an equal right to be called “faiths”: united by hope, as by doubt overcome, and by finding themselves, in the end, equally uncaused and indemonstrable, both daughters of an act of Grace”. On 25 November, 57 year old Father Michael Miller, originally from Ottawa (Canada), was elected archbishop and nominated Secretary of the Congregation for Catholic Education in place of the Jesuit Giuseppe Pittau who was 75 on 20 October last. Miller, who belongs to the religious Congregation of San Basilio, has been priest since 1965, did his licentiate (1976) and doctorate (1979) in Dogmatic Theology at the Gregorian Pontifical University. In the period 1992-1997 he worked in the first section of the Secretariat of State and from 1997 was President of the University of Saint Thomas in Houston, Texas (USA). Also on 25 November Monsignor Josef Clemens was elected bishop and nominated Secretary of the Pontifical Council for the Laity in place of Stanislaw Rylko, who on 4 October last was promoted President of the same Department. On 12 February last, 55 year old Monsignor Clemens was nominated Under Secretary of the Congregation for the Institutes of Consecrated Life and the Societies of Apostolic Life. Formerly Clemens had worked for nineteen years in the Congregation for the Doctrine of the Faith as Private Secretary to the Cardinal Prefect Joseph Ratzinger. Originally from the Archdiocese of Paderborn, Clemens was ordained priest in 1975 in the Church of Sant’Ignazio in Rome, and the following year presented his licentiate in Theology at the Gregorian University. His Director was Father Maurizio Flick and the topic was: “The theological method in Hans Küng. Infallible? A question”. On 29 November Monsignor Renato Boccardo was elected bishop and nominated Secretary of the Pontifical Council for Social Communications. Boccardo, 51 years old on 21 December, from Piedmont, replaces another Piedmontese, Pierfranco Pastore, who was 75 years old in April of last year. The new Secretary, a priest for the diocese of Susa since 1977, entered the Vatican diplomatic service in 1982 serving in the Nunciatures of Bolivia, Cameroon and France. In 1988 he became Pontifical Master of Ceremonies and in 1992 office head of the section for youth of the Pontifical Council for the Laity. From February 2001 he was Chief of Protocol with special duties in the Secretariat of State with responsibility for organizing the Pontifical journeys. A responsibility which he retains along with this new job. On 5 November, then, Monsignor Giovanni Carru , Piedmontese, parish priest of the cathedral of Chieri (To), was nominated Under-Secretary of the Congregation for the Clergy. Carru was Secretary General of the Diocesan Synod which was held from 1984 to 1987 with Cardinal Giovanni Saldarini, then Archbishop of Turin. On 15 November forty year old Anthony Muheria, of the Opus Dei clergy, was nominated bishop of Embyu in Kenya. Muheria, who before becoming a priest worked for five years as a civil engineer, is the first Opus Dei bishop in Africa. On 29 November there were a series of important nominations in Peru: in fact, the new Archbishops of Arequipa and Cuzco were nominated. 59 year old José Paulino Ríos Reynoso, Archbishop of Huancavo since 1995, was appointed to lead Arequipa, and takes the place of the retiring 78 year old Luis Sanchez-Moreno Lira of the Opus Dei clergy. 65 year old Juan Antonio Ugarte Pérez, of the Opus Dei clergy, Bishop Prelate of Yauyos since 1997, was called to lead Cuzco, in place of the retiring Alcides Mendoza Castro who was 75 last March. The Peruvian archbishops of Opus Dei are therefore two (out of seven): along with Ugarte Pérez, there is in fact the Cardinal of Lima Juan Luis Cipriani Thorne. 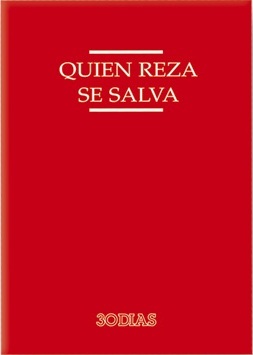 According to data reported in the Annuario Pontificio 2003Š Cuzco is, after Lima, the second archdiocese of Peru for the number of faithful and of priests and first for the number of seminarians. On 2 December 55 year old Raymond Leo Burke was nominated Archbishop of Saint Louis, one of the US metropolis traditionally a cardinalate. Burke, ordained priest in Rome in 1975, took a degree in Canon Law at the Gregorian Pontifical University in 1984 and had the post of Defender of the Bond with the Supreme Court Apostolic Signet from 1989 to 1994, when he was nominated bishop of his diocese of origin: La Crosse in Wisconsin. On 25 November the 66 year old German Archbishop Erwin Josef Ender, was nominated Nuncio to Berlin. This is a surprise nomination because it is the first time that a native German has been appointed pontifical representative to Germany. It is in fact a long-standing practice of pontifical diplomacy not to appoint nuncios from the country in which they must carry out their mission (with two exceptions: Italy and – since 1989 – Poland). Ender, originally from the German territories which were handed over to Poland after the Second World War, has been a priest since 1965 for the diocese of Munster. In the diplomatic service of the Holy See since 1970, he served for twenty years, up to 1990, in the first section of the Secretariat of State and was promoted archbishop and Pro-Nuncio in Sudan. In 1997 he was nominated Nuncio to the Baltic Countries (Lithuania, Latvia, Estonia) and since 2001 has been Pontifical Representative to the Czech Republic. On 29 November, 57 year old Monsignor Anselmo Guido Pecorari, originally from the province of Mantua, was elected archbishop and nominated Apostolic Nuncio in Ruanda. Pecorari, a priest since 1970, entered the Vatican diplomatic service in 1980 and worked in the nunciature of Liberia, in the Secretariat of State, in the pontifical representations of Spain, Ireland and – lastly – Slovenia. On the 29 November also Archbishop Giovanni De Andrea was nominated Nuncio in Qatar, a country with which the Holy See established diplomatic relations in November of last year. De Andrea, a 73 year old Piedmontese, had been Apostolic Nuncio in Kuwait, Bahrein and Apostolic Delegate to the Arab Peninsula. Before arriving in Rome on 24 November to take up his position as the new Vatican “Foreign Minister”, Archbishop Giovanni Lajolo signed, in his capacity as Nuncio to Germany, two diplomatic Agreements between the Holy See and German Länder. The first was at Potsdam, on 12 November, with the Brandenburg Land; the second at Bremen, on 21 November, with the homonymous “Free Hanseatic City”. Lajolo, therefore, in his eight years at the German Nunciature has signed agreements between the Holy See and almost all the Länder of the former Democratic Republic. As well as that with Brandenburg he has in fact concluded negotiations with Sachsen, (1996), Thüringen (1997), the former Mecklenburg- Vorpommern (1997) and Sachsen-Anhalt (1998). Overall only an agreement with the State of Berlin is lacking. “I wasn’t the first to discover and say it: those who wanted to make paradise of earth, have made a hell of it”. So the Peruvian writer Mario Vargas Llosa said in an interview which appeared in Corriere della Sera on 22 November, on the subject of his latest book, Paradise is elsewhere, which, through the stories of Gauguin and the Socialist Pasionaria Flora Tristan, the painter’s grandmother, asks questions about Utopia. Anyone wanting to know more about African Cardinal Francis Arinze, Prefect of the Congregation for Divine Worship since last October, must not miss the volume God’s invisible hand (Pauline Publications Africa, 398 pp., ' 22,50). It is a book-interview, edited by the journalist Gerard O’Connell, correspondent from the Vatican for the Asiatic agency UCA News, which reviews the life of the Cardinal in depth, from his childhood in Nigeria to a vocation influenced by the figure of Blessed Cyprian Michael Iwene Tansi, to his participation as a young auxiliary in the last session of Vatican Council II, through his experience as a bishop in Africa, up to his more than twenty years working in the Roman Curia. Ivan Merz is the young layman beatified by John Paul II during his quick trip to Banja Luka in Bosnia, on 22 June last. 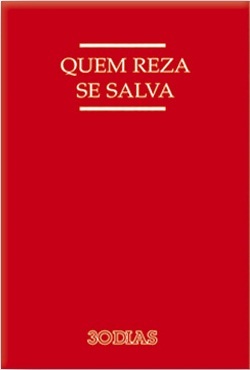 To this activist of the Croatian Catholic laity, with a non-practicing father and a mother of Jewish origins, the Quaderni dell Osservatore Romano have devoted a slim volume (Ivan Merz, A program of life and of Catholic action for the youth of today 102 pp., ' 10), edited by Giampaolo Mattei, leading correspondent of the Holy See daily. 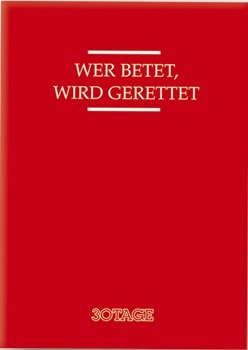 The book was launched on 8 November last by Cardinal Crescenzio Sepe and by the heads of the Croatian episcopacy.